Professional e-commerce websites using Magento. 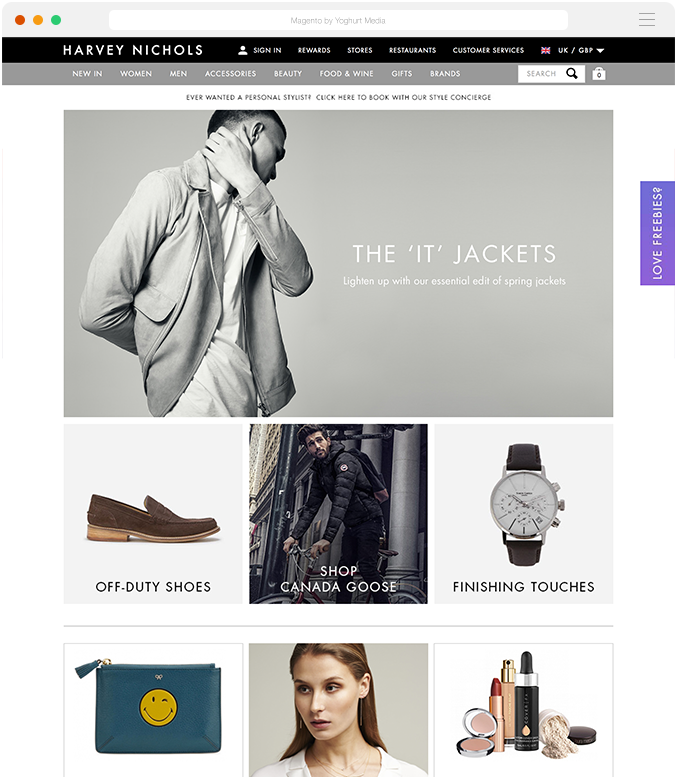 If you’re looking for a Magento e-Commerce Website, we’re the guys! We, at Yoghurt Media have worked alongside many e-commerce companies that use the Magento system. We know managing an online store can be difficult however at Yoghurt Media we like to keep things simple for ourselves and our clients. We will help take away all the stress of running your online business, we are very skilled at what we do and as part of our service we aim to provide a web development experience for our clients comparable to a walk in the park. Delightful! As part of our stress free service we offer 24/7 email support as standard and fully planned out projects that are transparent from start to finish. Just like you we are human and being human, we know that humans can often change their mind and bearing that in mind we won’t charge you a penny to make changes to your project before it has been signed off. Feel free to check out some of our previous e-Commerce projects such as Savvy Kid London and Musee Noir.